Excalibur Screwbolts UK has been awarded "THE QUEEN'S AWARD for ENTERPRISE and INNOVATION" for 2016. Merlin Screwbolts is now trading under the name Screwbolts Australia. Same quality product. Same quality service. The original Screwbolt - high-strength masonry anchor. The innovative screw anchor from the UK. Permanent removable or tamper resistant – your choice! One fixing for all substrates. Whilst primarily designed for high-strength masonry applications, Excalibur Screwbolt works extremely well in wood or other soft materials. Contact us today to discuss the requirements of your project. The unique Excalibur Screwbolt is manufactured in a size range of 4mm to 20mm diameter and in a variety of Head styles and drive media, the dimensions of which shall be in accordance with the relevant ISO and B.S. standards. A variety of lengths is also available (up to 200mm in the larger diameters). The Excalibur Screwbolt is manufactured from boron steel, and are, as standard, case hardened and tempered to the Exacalibur specification; therefore a class of quality of grade 10.9 is a comparison based upon the core hardness figure achieved. Standard surface finish for anchors 6mm diameter and larger is zinc plate and a yellow passivation. Standard surface finish for Excalibur masonry fixings below 6mm in diameter is zinc plate and a clear passivation. For additional protection, coatings may be supplied giving up to 1,000 hours accelerated salt spray test protection. This equates to approximately 20 years, dependant upon where the product is installed. For even greater protection, high pressure marine grease may be injected into the hole prior to insertion of anchor. Excalibur Screwbolts Masonry Anchors are tested, internaitonally recognised and AOTA Certified to European ETAG Approval as an Undercut Anchor. The unique patented thread of Excalibur Bolts makes it the only Masonry Anchor Screwbolt to be approved as an Undercut Anchor. Excalibur 10.9 strength bolts are the only screwbolt masonry fixing certified to: ETAG 101 Part 3 Metal Anchors for concrete Undercut Anchors. Excalibur Screwbolts Australia congratulates the team at Excalibur Ltd. in announcing that Excalibur Screwbolts UK has been awarded...2016 "THE QUEEN'S AWARD for ENTERPRISE and INNOVATION" for the Excalibur Plus Bolt. Like Excalibur's original Screwbolt, which won a Queen's Award in 2009, the Excalibur Plus Bolt provides a simple and secure method of anchoring into even the toughest substrate - such as concrete - without the need for additional fixings, resins or special tools. The Excalibur Screwbolt PLUS is currently being used in Crossrail, the UK's highest profile engineering project, where it has been designed to withstand 120 years of demanding use. 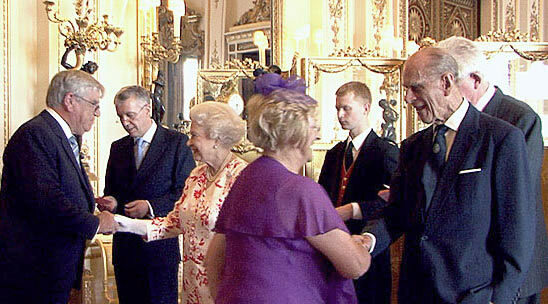 "I am delighted to inform you that Her Majesty The Queen has again awarded Excalibur Screwbolts UK Ltd, a Queens Award for Enterprise in the Innovation category for the revolutionary new Excalibur Plus Bolt." 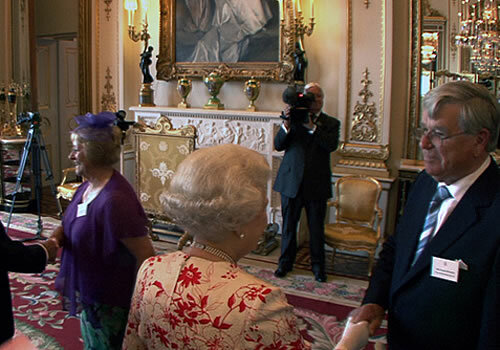 A very proud Mr Charles Bickford - owner of Excalibur UK and the inventor of the original screwbolt concept, met with Her Majesty, Queen Elizabeth at the Palace in July to accept the award on behalf of the International Excalibur team. Australian members joined valued international clients, business associates and Government dignitaries in England to celebrate the award. Commenting on the honour, Mr Bickford expressed his personal gratitude to the loyal team at Excalibur and thanked them for their contribution over the years which enables such recognition. 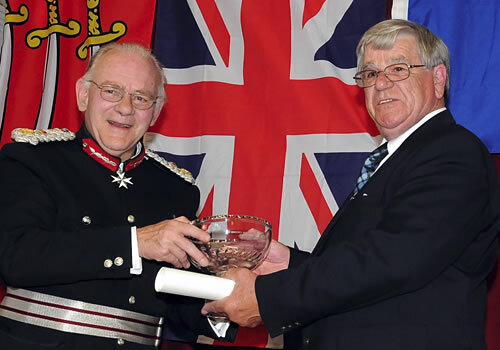 Charles Bickford and Dennis Brown with the Queen's representative, accepting the 2016 Queen's Award for Innovation.